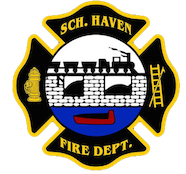 November 1, 2008- At 00:48 Duty Chief 722 was dispatched to go to 408 East Union Street, Schuylkill Haven Boro, for a carbon monoxide investigation. As Chief Sattizahn went responding, he had asked to have stations 1 & 2 dispatched to meet at the scene. Crews did an investigation with monitors, cleared the house of all gases and cleared the scene in a half hour.